The students taking the master’s programme in design have spent their first term working with the topic of repair. They are now presenting their work in the Design4Repair exhibition. The exhibition contains projects that show that visible repairs can be beautiful. 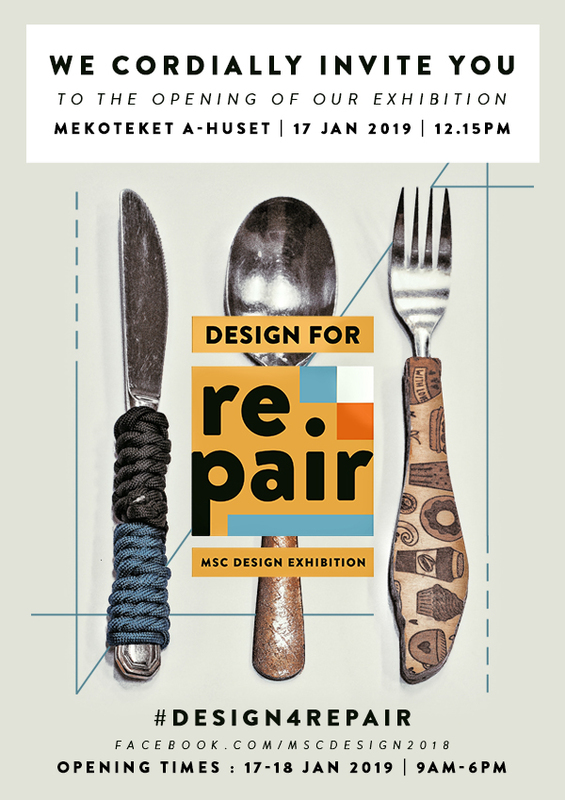 The Repair Café, arranged by the students during the autumn, is also part of the exhibition, showing both results and impressions from the café.